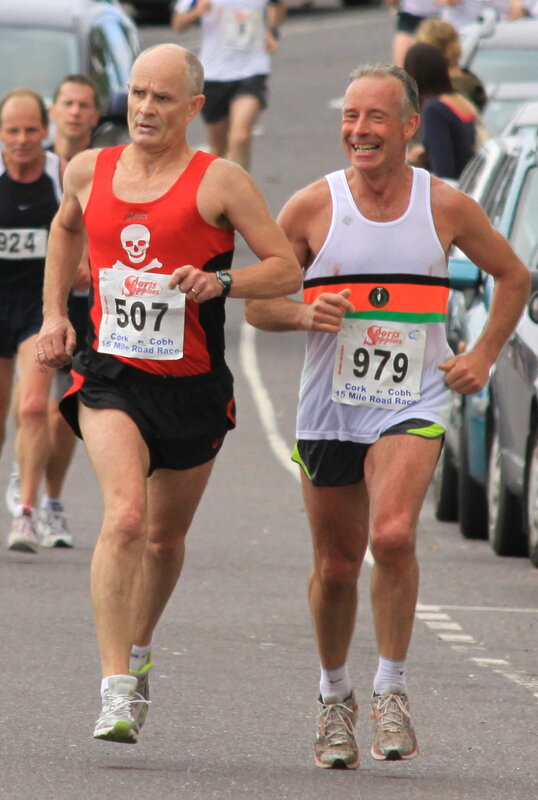 Cork Tri has established a very beneficial relationship with St Finbarr’s Athletic Club. Cork Tri athletes can take part in the ‘Barr’s Friday sessions at the UCC College Farm (UCC playing pitches). These sessions are coached by Ken Devine and are really good and especially suited to triathlon training. The sessions are tempo sessions on the grass pitches and are generally based on time run rather than distance. A typical session could be 6 minutes runs broken down as follows; 6 minutes continuous run at elevated pace, 2 x 3 minutes, 3 x 2 minutes and finally 6 x 1 minute. Interval of 2 minutes between each 6 minute period and 1 minute within the 6 minutes. The sessions start promptly at 6.00pm on Friday evenings most people get there at 5.30-5.45pm to have a good warm up. The members of St Finbarr’s are very welcoming and many of the CTC members have also joined the ‘Barrs and run the cross-country season during the autumn and winter months, great conditioning for tri. During the winter months the sessions change to the CIT track.